Highlights of Wolves' 2-0 win against Birmingham in the Sky Bet Championship. Wolverhampton Wanderers moved within touching distance of sealing the Sky Bet Championship title after beating 10-man Birmingham City 2-0 at Molineux on Sunday. Wolves - who secured promotion to the Premier League without even playing on Saturday - opened the scoring after 21 minutes thanks to Diego Jota's well-taken strike at the far post, before the visitors saw Harlee Dean sent off (52). 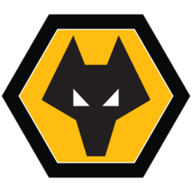 The hosts then wrapped up the points via Benik Afobe's neat finish three minutes from time meaning Nuno Espirito Santo's side can now be officially crowned champions by drawing at Bolton Wanderers on Saturday. Meanwhile, Birmingham remain deep in trouble, just two points from safety and having now played a game more than 22nd-placed Barnsley. It was actually Blues who created the first real opening when Lukas Jutkiewicz's defence-splitting pass sent Maxime Colin through on goal. Faced with just John Ruddy, however, the Frenchman failed to beat the Wolves goalkeeper, not once, but twice. Leo Bonatini was recalled - but only as a sub - with Ivan Cavaleiro keeping his place in the team. Meanwhile, Benik Afobe started the last two games without scoring and so was demoted to the bench. On-loan Southampton striker Sam Gallagher failed to recover from the calf injury that kept him out for the past month. However, midfielder Craig Gardner took his place on the bench after resuming training in midweek. Birmingham were then made to pay for those costly misses when Wolves took the lead soon after following some nice build-up play down the right involving Matt Doherty. From the Republic of Ireland international's driven centre across the six-yard box, there was the sliding Jota in the right place to make the breakthrough. The task was made much harder for Garry Monk's team when Dean was shown a straight red card after tripping Helder Costa when clean through on goal, the second time this season the centre back has seen red against Wolves. Wolves wrapped up the points late on when Alfred N'Diaye's clever pass released fellow substitute Afobe, who had no problems chipping the advancing David Stockdale to complete an enjoyable weekend for Nuno and co. The forward, 24, enjoyed another impressive display in attack for Wolves to further cement his growing reputation at the club. As well as numerous eye-catching moments in both halves, the Portuguese was also the player felled in the incident that saw Dean sent off in the second period. And if he maintains this type of form, the youngster will be quite a handful in the Premier Year next season. After securing promotion to the Premier League, Wolves’ attention now turns to winning the Sky Bet Championship and finishing the season in style. Nuno Espirito Santo: "This is a big moment for us, it is very deserved and we are very pleased. We will celebrate like normal and at the end of the season, it will be a deserved celebration. "But we do not think about that (Premier League) now. We are thinking till the last day of our work, be focused, disciplined, because this season, with all their efforts, they deserve to be with some moments of glory. And they are only achieved if you keep your discipline." Garry Monk: "We tried to stay in the game until the later stages but Wolves are clinical in those moments. They have been the best side in the league. "Everyone's committed, everyone's fighting, these players are giving everything, and we will do that in the remaining games." 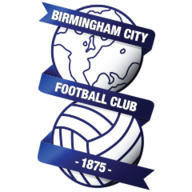 Nuno Espirito Santo praised his players for their focus as they beat Birmingham 2-0 despite already being promoted prior to their match against the Blues. Wolves travel to struggling Bolton on Saturday, while Birmingham host play-off hopefuls Sheffield United on the same afternoon.